Part Charvel. Part Jackson. Totally Armed to the Teeth. Two guitar icons come together in the Charvel Pro-Mod DK24. 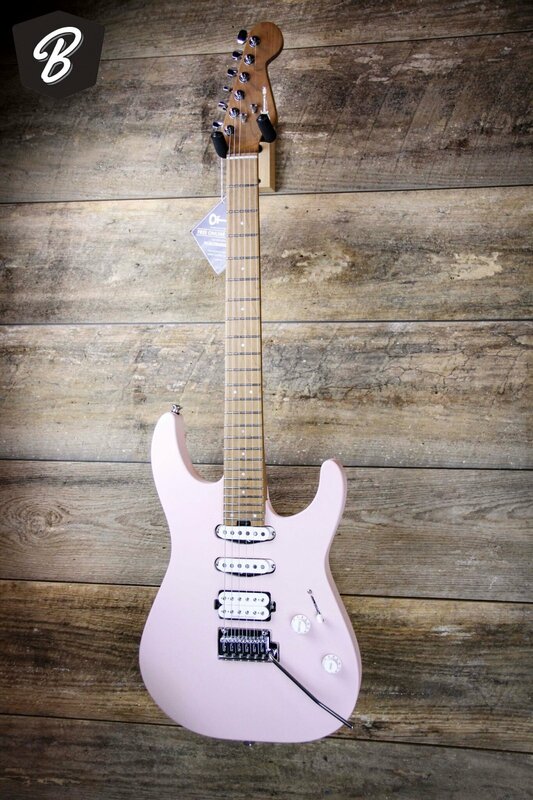 The classic Jackson Dinky alder body is light in the hands and contoured against the body, while the Charvel 2-piece reinforced maple Speed Neck remains rock solid as it ages. Charvel’s familiar 12"–16" compound-radius fingerboard flattens out nicely in the upper registers, giving technical players the speed and expression they need for bends, runs, and vibrato.